Last weekend I took in a Mother’s Day Weekend double feature–the drama Tully, in theaters now, and the first of the new three-part Masterpiece adaptation of Louisa May Alcott’s classic Little Women. I absolutely loved Tully, the story of a mom, played brilliantly by Charlize Theron, who gives birth to her second child and experiences postpartum depression. Eventually she takes her in-laws up on their offer to pay for a night nanny named Tully, played by Mackenzie Davis. There is a montage of the first few days home that is fleshy, real, and brilliant. Ron Livingston plays the husband/father very well, so well that I felt sorry for him even as he infuriated me. If plot is the only thing that gets you to the movie theater I suppose you may want to pass but when character development can overcompensate for it, as it does in this film, I am fine with a weaker plot. I heard that the film is receiving grief from the professionals who study and treat postpartum. Here is my response–make another film! We have thousands of super hero films and twice as many Christmas movies. Why does one film have to carry all of the postpartum experiences alone? Let us please have more stories told. They will make us cry and laugh and, more importantly, care for the women who are suffering alone. I for one am thankful for a new kind of film about mothers. 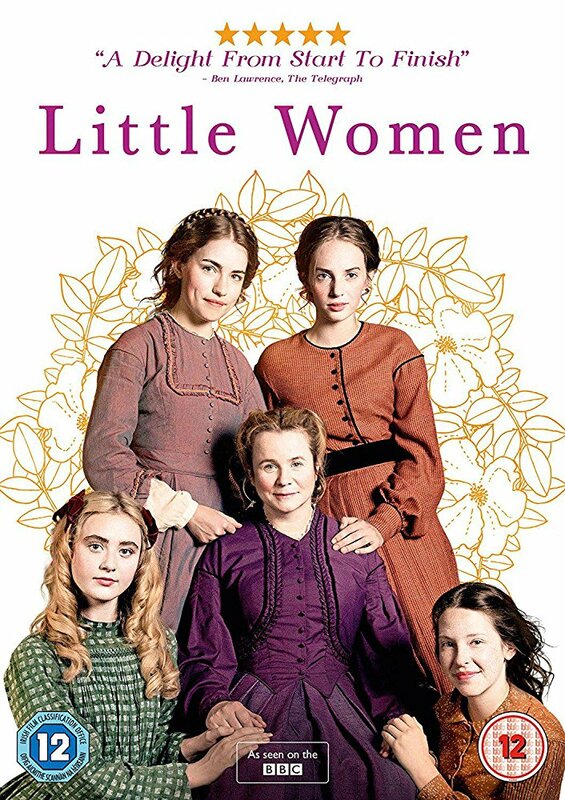 Speaking of stories told and retold, I do not know what I went into the newest Little Women adaptation expecting. How many ways can this classic be remade? But I am a die-hard Little Women fan and will watch, and have watched, every version. I was the student in 7th Grade who read a biography on Louisa May Alcott for class. There is something, maybe more than one thing, timeless about this story. Sibling relationships and coming-of-age make for great ingredients. My very favorite adaptation of this story was a double-tape audio recording by The Minds Eye that my parents and I listened to so many times on car trips. I can still hear the music chosen for the saddest part of the story. This latest version, which continues tonight, seems solid so far. They recruited Angela Lansbury to play Aunt March and Emily Watson, a favorite of mine, to play Marmee. Maya Hawke does a great job as Jo. Thus far, of all the screen adaptations, my favorite remains the 1949 version with June Allyson as Jo and Elizabeth Taylor as Amy. What’s your favorite adaption of this story?